Legendary singer-songwriter Rodriguez will return to Australia in October and November to play headline shows in Brisbane, Melbourne, Perth, Adelaide and two shows at the Opera House in Sydney. After his two albums – 1969’s Cold Fact and 1971’s Coming from Reality – went unnoticed in America, Rodriguez eventually turned his efforts elsewhere, earning a bachelor’s degree in philosophy from Wayne State University, running for political office and working construction and factory jobs to support his family. Now Rodriguez is enjoying a revival after been “rediscovered” by the Oscar Award winning documentary Searching for Sugar Man in 2012 and will be touring Australia for the fourth time since 2007. Although the film focuses on the singer-songwriter cult following in South Africa, Rodriguez also had a significant fanbase in Australia; he first toured Australia in the late ‘70s and returned in 1981 playing shows with Midnight Oil. He has reguraly dropped a cover of Midnight Oil’s ‘Redneck Wonderland’ into his Australian setlists alongside his takes on Carl Perkins’ ‘Blue Suede Shoes’ and Bob Dylan’s ‘Like A Rolling Stone’. 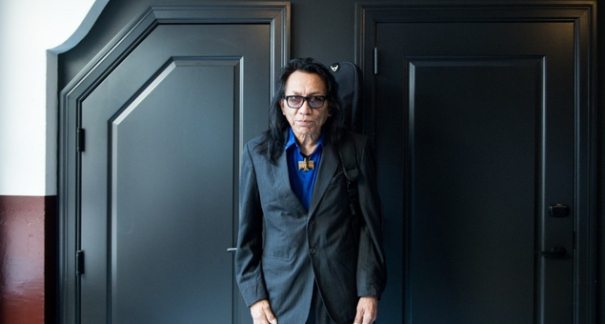 Read more at “Sugar Man” Rodriguez announces 2014 Australian tour. What about New Zealand mate?